This page provides links to my journal articles and conference papers. You can also visit the list of my books and patents. I also maintain a chronological list, a list of selected papers by topic, and a Google Scholar profile. Kevin O’Keeffe and Christian Bettstetter. A Review of Swarmalators and Their Potential in Bio-Inspired Computing. Under review at SPIE Micro- and Nanotechnology Sensors, Systems, and Applications XI, Paper 10982-85, Baltimore, MD, USA, April 14–18, 2019. Invited paper. Download arXiv preprint. Daniel Neuhold, Jorge F. Schmidt, Christian Bettstetter, Johannes Sebald, and Jirka Klaue. UWB Connectivity Inside a Space Launch Vehicle. In Proc. European Wireless, Aarhus, Denmark, May 2–4, 2019. Download preprint. Accepted paper. Siddhartha Borkotoky, Christian Bettstetter, Udo Schilcher, and Christian Raffelsberger. Allocation of Repetition Redundancy in LoRa. In Proc. European Wireless, Aarhus, Denmark, May 2–4, 2019. Download arXiv preprint. Accepted paper. Jorge F. Schmidt, Denis Chernov, Manfred Pauritsch, and Christian Bettstetter. Study of a Self-Powered UWB Sensor Network for Industrial Applications. In Proc. European Wireless, Aarhus, Denmark, May 2–4, 2019. Download preprint. Accepted paper. Agata Gniewek and Christian Bettstetter. Beyond Sync: Distributed Temporal Coordination and Its Implementation in a Multi-Robot System. In Proc. IEEE Intern. Conf. on Self-Adaptive and Self-Organizing Systems (SASO), Umeå, Sweden, June 16–20, 2019. Accepted paper. Udo Schilcher, Jorge F. Schmidt, Mahin Atiq, and Christian Bettstetter. Autocorrelation and Coherence Time of Interference in Poisson Networks. IEEE Transactions on Mobile Computing, 2019. Download arXiv preprint. Accepted paper. Raheeb Muzaffar, Evsen Yanmaz, Christian Raffelsberger, Christian Bettstetter, and Andrea Cavallaro. Live Multicast Video Streaming from Drones: An Experimental Study. 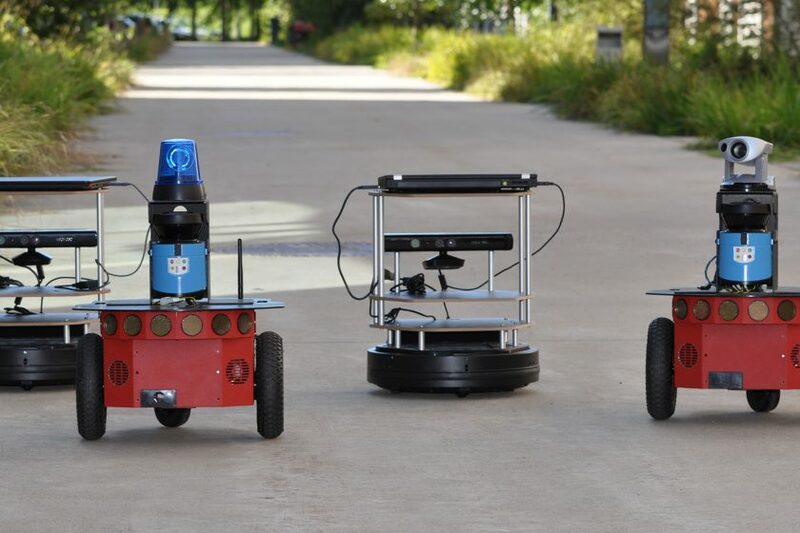 Autonomous Robots, 2019. Accepted paper. Jorge F. Schmidt, Udo Schilcher, Mahin K. Atiq, and Christian Bettstetter. Interference Prediction in Wireless Networks: Stochastic Geometry meets Recursive Filtering. Download arXiv preprint. Under review. Agata Gniewek, Michał Barci&sacute;, and Christian Bettstetter. Robots that Sync and Swarm: A Proof of Concept in ROS 2. Download arXiv preprint. Watch some videos. Under review. Mahin K. Atiq, Udo Schilcher, and Christian Bettstetter. On Interference Pikes in Poisson Networks. Download preprint. Under review. Samira Hayat, Christian Bettstetter, Aymen Fakhreddine, Raheeb Muzaffar, and Driton Emini. 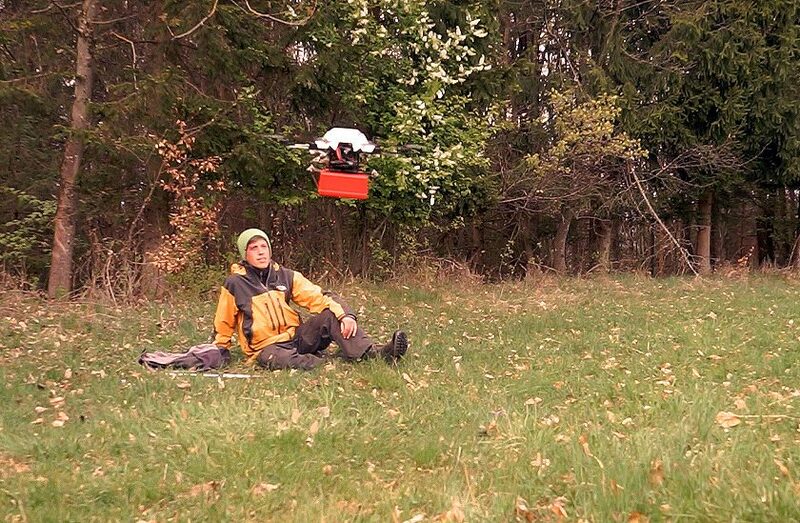 An Experimental Evaluation of LTE-A Throughput for Drones. Under review. Aymen Fakhreddine, Christian Bettstetter, Samira Hayat, Raheeb Muzaffar, and Driton Emini. 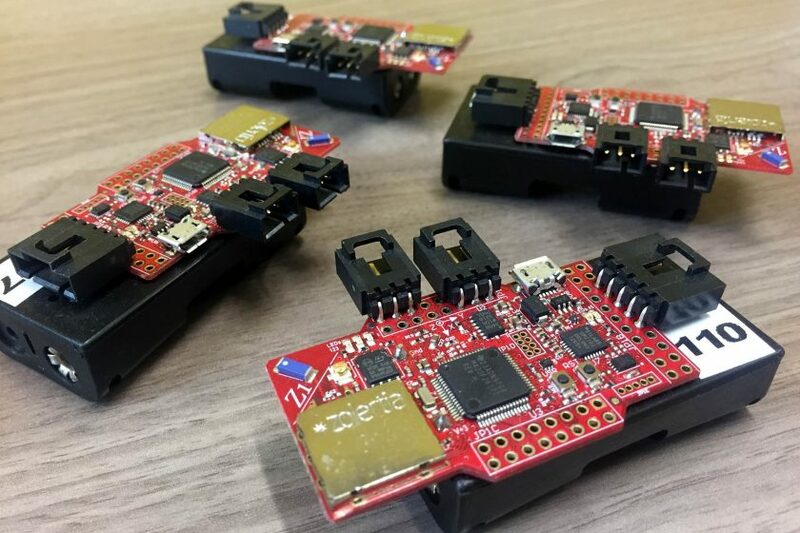 Handover Challenges for Cellular-Connected Drones. Under review. Udo Schilcher, Jorge F. Schmidt, and Christian Bettstetter. On Interference Dynamics in Matérn Networks. IEEE Transactions on Mobile Computing, 2019. Open access. Download arXiv preprint. Pasquale Grippa, Udo Schilcher, and Christian Bettstetter. On Access Control in Cabin-Based Transport Systems. IEEE Transactions on Intelligent Transportation Systems, 2019. Download arXiv preprint. Ursula Challita, Walid Saad, and Christian Bettstetter. Interference Management for Cellular-Connected UAVs: A Deep Reinforcement Learning Approach. IEEE Transactions on Wireless Communications, vol. 18, no. 4, pp. 2125–2140, April 2019. We dimension and control a fleet of delivery drones. Pasquale Grippa, Doris A. Behrens, Friederike Wall, and Christian Bettstetter. Drone Delivery Systems: Job Assignment and Dimensioning. 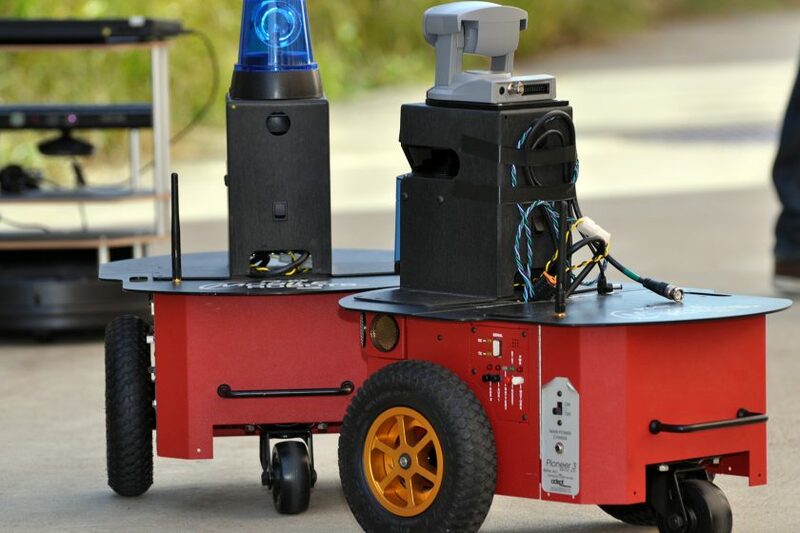 Autonomous Robots, Special Issue on Robotics: Science and Systems (RSS), vol. 43, no. 2, pp. 261–274, February 2019. Open access. Evsen Yanmaz, Saeed Yahyanejad, Bernhard Rinner, Hermann Hellwagner, and Christian Bettstetter. Drone Networks: Communications, Coordination, and Sensing. Ad Hoc Networks, Special Issue on Advances in Wireless Communication and Networking for Cooperating Autonomous Systems, vol. 68, pp. 1–15, January 2018. Download preprint. Wasif Masood, Jorge F. Schmidt, Günther Brandner, and Christian Bettstetter. DISTY: Dynamic Stochastic Time Synchronization for Wireless Sensor Networks. IEEE Transactions on Industrial Informatics, vol. 13, no. 3, pp. 1421–1429, May 2017. We proposed coupling rules for networked oscillators and proved that synchronization emerges. Johannes Klinglmayr, Christian Bettstetter, Marc Timme, and Christoph Kirst. Convergence of Self-Organizing Pulse Coupled Oscillator Synchronization in Dynamic Networks. IEEE Transactions on Automatic Control, vol. 62, no. 4, pp. 1606–1619, April 2017. Udo Schilcher, Günther Brandner, and Christian Bettstetter. Quantifying Inhomogeneity of Spatial Point Patterns. Computer Networks, vol. 115, pp. 65–81, March 2017. Open access. Jorge F. Schmidt, Udo Schilcher, and Christian Bettstetter. Exact Bit Error Rate Expressions for Interference-Limited Poisson Networks. IET Electronics Letters, vol. 52, no. 23, pp. 1961–1963, November 2016. Open access. Torsten Andre and Christian Bettstetter. Collaboration in Multi-Robot Exploration: To Meet or Not to Meet? Journal of Intelligent and Robotic Systems, vol. 82, no. 2, pp. 325–337, May 2016. Günther Brandner, Udo Schilcher, and Christian Bettstetter. Firefly Synchronization with Phase Rate Equalization and its Experimental Analysis in Wireless Systems. Computer Networks, vol. 97, pp. 74–87, March 2016. Open access. Udo Schilcher, Stavros Toumpis, Martin Haenggi, Alessandro Crismani, Günther Brandner, and Christian Bettstetter. Interference Functionals in Poisson Networks. IEEE Transactions on Information Theory, vol. 62, no. 1, pp. 370–383, January 2016. Open access. Alessandro Crismani, Stavros Toumpis, Udo Schilcher, Günther Brandner, and Christian Bettstetter. Cooperative Relaying under Spatially and Temporally Correlated Interference. IEEE Transactions on Vehicular Technology, vol. 64, no. 10, pp. 4655–4669, October 2015. Open access. Alexander Gogolev, Nikolaj Marchenko, Lucio Marcenaro, and Christian Bettstetter. Distributed Binary Consensus in Networks with Disturbances. ACM Transactions on Autonomous and Adaptive Systems, vol. 10, no. 3, article 19, September 2015. Helmut Adam, Evsen Yanmaz, and Christian Bettstetter. Medium Access with Adaptive Relay Selection in Cooperative Wireless Networks. IEEE Transactions on Mobile Computing, vol. 13, no. 9, pp. 2042–2057, September 2014. Open access. 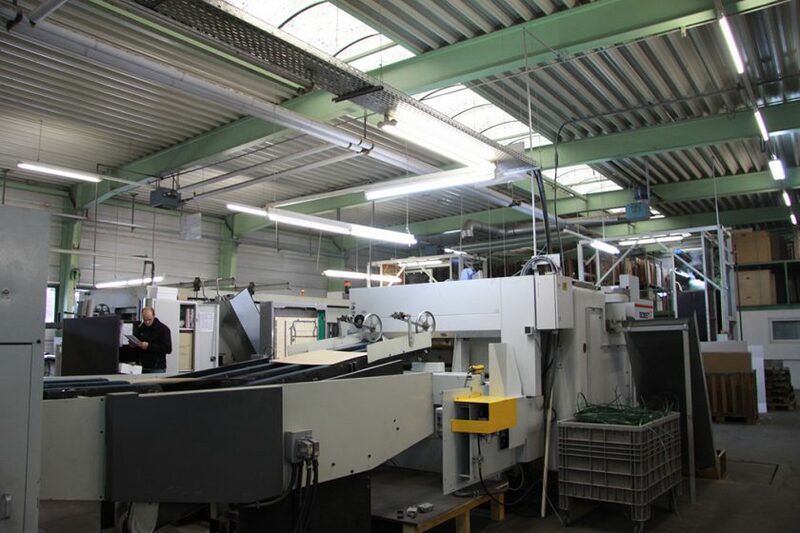 We implemented relaying protocols in IEEE 802.15.4 and evaluated them in a factory. Nikolaj Marchenko, Torsten Andre, Günther Brandner, Wasif Masood, and Christian Bettstetter. An Experimental Study of Selective Cooperative Relaying in Industrial Wireless Sensor Networks. IEEE Transactions on Industrial Informatics, vol. 10, no. 3, pp. 1806–1816, August 2014. Torsten Andre, Karin A. Hummel, Angela P. Schoellig, Evsen Yanmaz, Mahdi Asadpour, Christian Bettstetter, Pasquale Grippa, Hermann Hellwagner, Stephan Sand, Siwei Zhang. Application-Driven Design of Aerial Communication Networks. IEEE Communications Magazine, vol. 52, no. 5, pp. 129–137, May 2014. Nikolaj Marchenko and Christian Bettstetter. Cooperative ARQ with Relay Selection: An Analytical Framework Using Semi-Markov Processes. IEEE Transactions on Vehicular Technology, vol. 63, no. 1, pp. 178–190, January 2014. Günther Brandner, Christian Bettstetter, and Udo Schilcher. Contention-Based Node Selection with Applications to Relay Communications and Load Balancing. EURASIP Journal on Wireless Communications and Networking, article 211, August 2013. Open access. Helmut Adam, Evsen Yanmaz, and Christian Bettstetter. Contention-Based Estimation of Neighbor Cardinality. IEEE Transactions on Mobile Computing, vol. 12, no. 3, pp. 542–555, March 2013. We derived the correlation of interference in stochastic wireless networks. Udo Schilcher, Christian Bettstetter, and Günther Brandner. Temporal Correlation of Interference in Wireless Networks with Rayleigh Block Fading. IEEE Transactions on Mobile Computing, vol. 11, no. 12, pp. 2109–2120, December 2012. Johannes Klinglmayr and Christian Bettstetter. Self-Organizing Synchronization with Inhibitory-Coupled Oscillators: Convergence and Robustness. ACM Transactions on Autonomous and Adaptive Systems, vol. 7, no. 3, article 30, September 2012. Johannes Klinglmayr, Christoph Kirst, Christian Bettstetter, and Marc Timme. Guaranteeing Global Synchronization in Networks with Stochastic Interactions. New Journal of Physics, vol. 14, no. 073031, July 2012. Open access. Günther Brandner, Udo Schilcher, Torsten Andre, and Christian Bettstetter. Packet Delivery Performance of Simple Cooperative Relaying in Real-World Car-to-Car Communications. IEEE Wireless Communications Letters, vol. 1, no. 3, pp. 237–240, June 2012. Sérgio Crisóstomo, Udo Schilcher, Christian Bettstetter, and João Barros. Probabilistic Flooding in Stochastic Networks: Analysis of Global Information Outreach. Computer Networks, vol. 56, no. 1, pp. 142–156, January 2012. Alexander Tyrrell, Gunther Auer, and Christian Bettstetter. Emergent Slot Synchronization in Wireless Networks. IEEE Transactions on Mobile Computing, vol. 9, no. 5, pp. 719–732, May 2010. Wilfried Elmenreich, Nikolaj Marchenko, Helmut Adam, Christian Hofbauer, Günther Brandner, Christian Bettstetter, and Mario Huemer. Building Blocks of Cooperative Relaying in Wireless Systems. e & i Elektrotechnik und Informationstechnik, Special Issue on Networked Embedded Systems, Springer, vol. 126, no. 10, pp. 353–359, Oct 2008. Alexander Tyrrell, Gunther Auer, and Christian Bettstetter. Biologically Inspired Synchronization for Wireless Networks. In Advances in Biologically Inspired Information Systems: Models, Methods, and Tools, Eds. Falko Dressler and Iacopo Carreras, in Series: Studies in Computational Intelligence, Springer, vol. 69, pp. 47–62, 2007. Emma Carlson, Christian Prehofer, Christian Bettstetter, Holger Karl, and Adam Wolisz. A Distributed End-to-End Reservation Protocol for IEEE 802.11-based Wireless Mesh Networks. IEEE Journal on Selected Areas in Communications (JSAC), Special Issue on Multi-Hop Wireless Mesh Networks, vol. 24, no. 11, pp. 2018–2027, November 2006. Philipp Hofmann, Christian Bettstetter, and Christian Prehofer. Performance Impact of Multihop Handovers in an IP-based Multihop Radio Access Network. ACM Mobile Computing and Communications Review, vol. 10, no. 2, pp. 13–25. April 2006. Robert Vilzmann, Christian Bettstetter, and Christian Hartmann. BeamMAC: A New Paradigm for Medium Access in Wireless Networks. International Journal of Electronics and Communications (AEÜ), vol. 60, no. 1, pp. 3–7, January 2006. Christian Bettstetter and Christian Hartmann. Connectivity of Wireless Multihop Networks in a Shadow Fading Environment. ACM/Springer Wireless Networks, vol. 11, no. 5, pp. 571–579, September 2005. We discussed principles of self-organization in networks. Christian Prehofer and Christian Bettstetter. Self-Organization in Communication Networks: Principles and Design Paradigms. IEEE Communications Magazine, Feature Topic on Advances in Self-Organizing Networks, vol. 43, no. 7, pp. 78–85, July 2005. Christian Bettstetter, Hannes Hartenstein, and Xavier Pérez-Costa. Stochastic Properties of the Random Waypoint Mobility Model. ACM/Kluwer Wireless Networks, Special Issue on Modeling and Analysis of Mobile Networks, vol. 10, no. 5, pp. 555-567, Sept 2004. Christian Bettstetter. On the Connectivity of Ad Hoc Networks. The Computer Journal, Special Issue on Mobile and Pervasive Computing, vol. 47, no. 4, pp. 432–447, Oxford University Press, July 2004. Xavier Peréz-Costa, Christian Bettstetter, and Hannes Hartenstein. Toward a Mobility Metric for Comparable and Reproducible Results in Ad Hoc Networks Research. ACM Mobile Computing and Communications Review, vol. 7, no. 4, pp. 58–60, October 2003. We analyzed the node distribution of random waypoint mobility. Christian Bettstetter, Giovanni Resta, and Paolo Santi. The Node Distribution of the Random Waypoint Mobility Model for Wireless Ad Hoc Networks. IEEE Transactions on Mobile Computing, vol. 2, no. 3, pp. 257–269, July-September 2003. 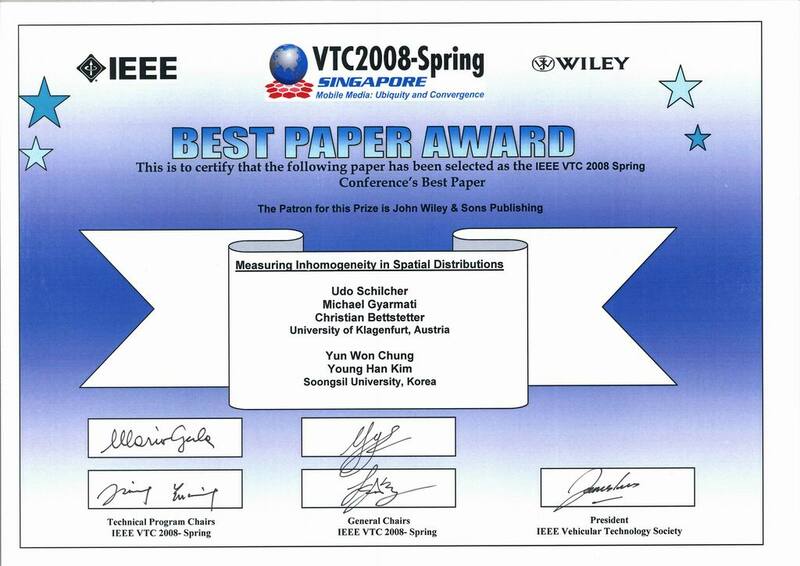 Received the 2004 outstanding paper award from the German Society for Information Technology (“Preis der ITG“). Christian Bettstetter. Topology Properties of Ad Hoc Networks with Random Waypoint Mobility. ACM Mobile Computing and Communications Review, vol. 7, no. 3, pp. 50–52, July 2003. Wolfgang Kellerer, Christian Bettstetter, Christian Schwingenschlögl, Peter Sties, Karl-Ernst Steinberg, and Hans-Jörg Vögel. (Auto) Mobile Communication in a Heterogeneous and Converged World. IEEE Personal Communications Magazine, Special Issue on European R&D on Fourth-Generation Mobile and Wireless IP Networks, vol. 8, no. 6, pp. 41–47, December 2001. Christian Bettstetter. Mobility Modeling in Wireless Networks: Categorization, Smooth Movement, and Border Effects. ACM Mobile Computing and Communications Review, vol. 5, no. 3, pp. 55–67, July 2001. Christian Weiß, Christian Bettstetter, and Sven Riedel. Code Construction and Decoding of Parallel Concatenated Tail-Biting Codes. IEEE Transactions on Information Theory, vol. 47, no. 1, pp. 368–388, Jan 2001. Christian Bettstetter, Hans-Jörg Vögel, and Jörg Eberspächer. GSM Phase 2+ General Packet Radio Service GPRS: Architecture, Protocols, and Air Interface. IEEE Communications Surveys & Tutorials, Special Issue on Packet Radio Networks, vol. 2, no. 3, pp. 2–14, Third Quarter 1999. Open access. Pasquale Grippa, Evsen Yanmaz, Paul Ladinig, and Christian Bettstetter. 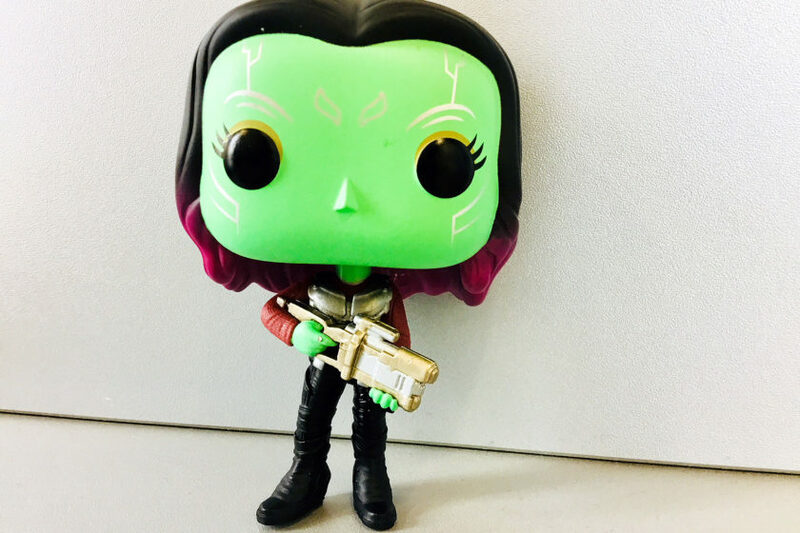 Guarded by Gamora: How Access Control Balances Out Waiting Times in Transport Systems. In Proc. IEEE Intern. Conf. on Intelligent Transportation Systems (ITSC), Maui, Hawaii, USA, November 4–7, 2018. ​Download arXiv preprint. Ursula Challita, Walid Saad, and Christian Bettstetter. Deep Reinforcement Learning for Interference-Aware Path Planning of Cellular-Connected UAVs. In Proc. IEEE Intern. Conf. on Communications (ICC), Kansas City, MO, USA, May 20–24, 2018. Download preprint. Jorge F. Schmidt, Daniel Neuhold, Jirka Klaue, Dominic Schupke, and Christian Bettstetter. 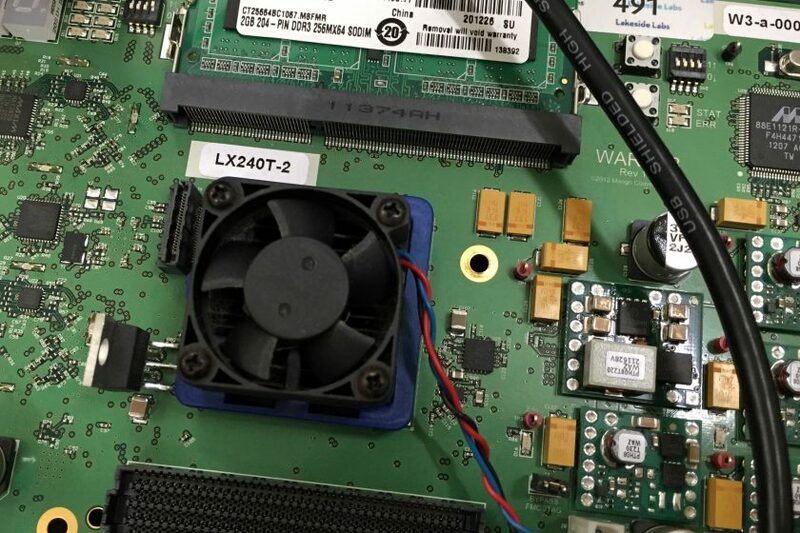 Experimental Study of UWB Connectivity in Industrial Environments. In Proc. European Wireless, Catania, Italy, May 2–4, 2018. Download preprint. Daniel Neuhold, Jorge F. Schmidt, Jirka Klaue, Dominic Schupke, and Christian Bettstetter. 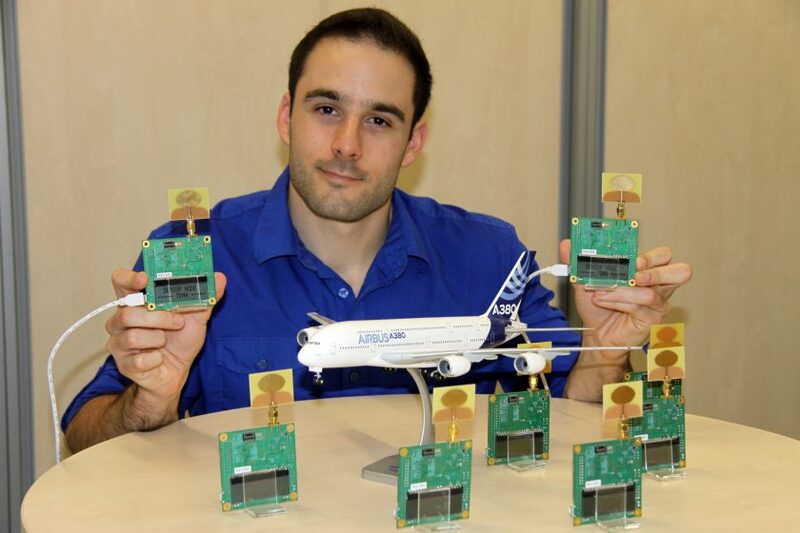 Experimental Study of Packet Loss in a UWB Sensor Network for Aircraft. In Proc. ACM Intern. Conf. 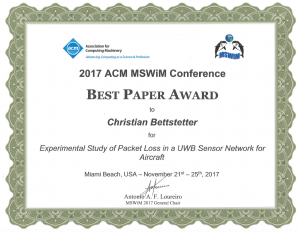 on Modeling, Analysis and Simulation of Wireless and Mobile Systems (MSWiM), Miami Beach, FL, USA, November 21–25, 2017. 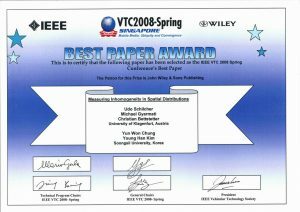 Received best paper award. Open access. Mahin K. Atiq, Udo Schilcher, Jorge F. Schmidt, and Christian Bettstetter. Semi-Blind Interference Prediction in Wireless Networks. In Proc. ACM Intern. Conf. 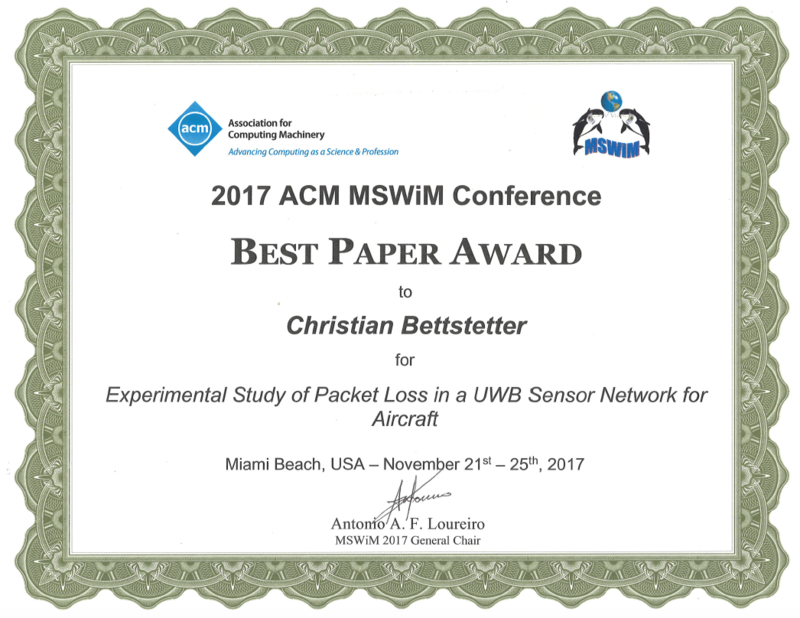 on Modeling, Analysis and Simulation of Wireless and Mobile Systems (MSWiM), Miami Beach, FL, USA, November 21–25, 2017. Open access. Micha Rappaport and Christian Bettstetter. Coordinated Recharging of Mobile Robots during Exploration. In Proc. IEEE/RSJ Intern. Conf. on Intelligent Robots and Systems (IROS), Vancouver, Canada, September 24–28, 2017. Pasquale Grippa, Doris A. Behrens, Christian Bettstetter, and Friederike Wall. 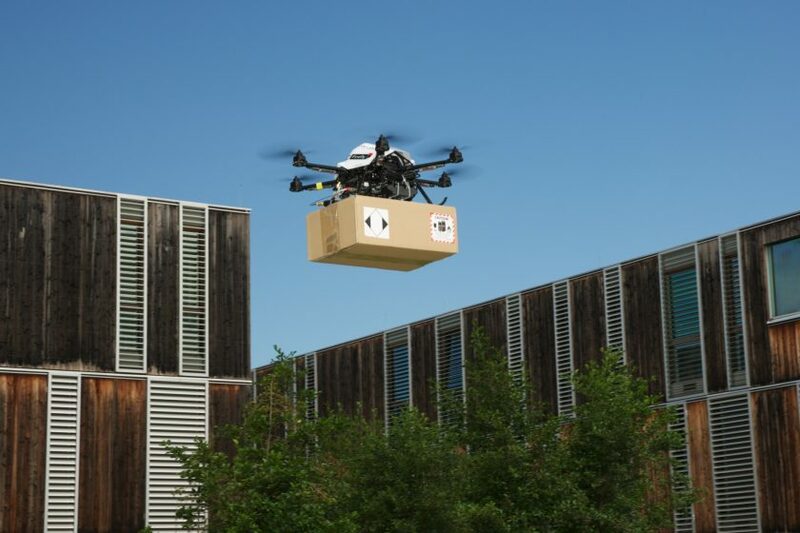 Job Selection in a Network of Autonomous UAVs for Delivery of Goods. In Proc. Robotics: Science and Systems (RSS), Cambridge, MA, USA, July 12–16, 2017. Open access. Samira Hayat, Evsen Yanmaz, Timothy X Brown, and Christian Bettstetter. Multi-Objective UAV Path Planning for Search and Rescue. In Proc. IEEE Intern. Conf. on Robotics and Automation (ICRA), Marina Bay, Singapore, May 29 – June 3, 2017. Raheeb Muzaffar, Evsen Yanmaz, Christian Bettstetter, and Andrea Cavallaro. Application-Layer Rate-Adaptive Multicast Video Streaming over 802.11 for Mobile Devices. In Proc. ACM Multimedia Conf., Amsterdam, The Netherlands, October 15–19, 2016. Evsen Yanmaz, Markus Quaritsch, Saeed Yahyanejad, Bernhard Rinner, Hermann Hellwagner, and Christian Bettstetter. Communication and Coordination for Drone Networks. In Proc. EAI Intern. Conf. on Ad Hoc Networks (AdHocNets), Ottawa, Canada, September 26–27, 2016. Invited paper. Jorge F. Schmidt, Mahin K. Atiq, Udo Schilcher, and Christian Bettstetter. 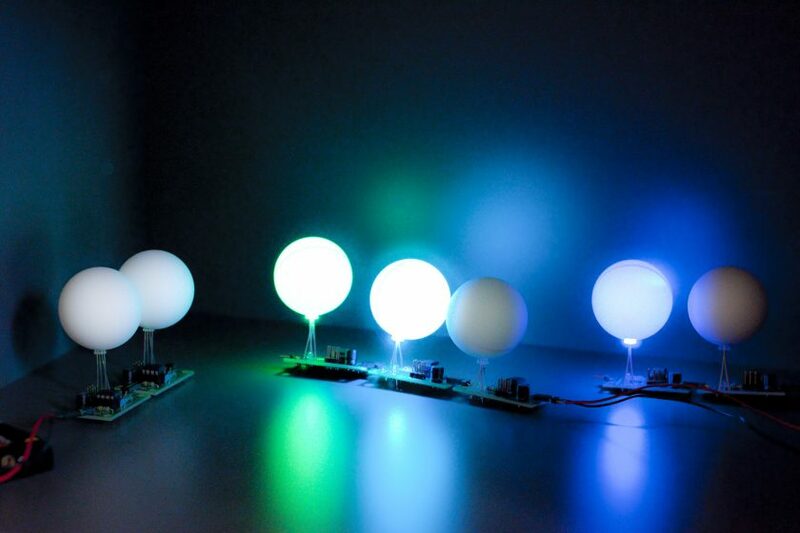 Encouraging Device-to-Device Communications to Improve Energy Efficiency in Cellular Systems. In Proc. IEEE Vehicular Technology Conf. (VTC), Nanjing, China, May 15–18, 2016. Daniel Neuhold, Jorge F. Schmidt, Christian Bettstetter, Jirka Klaue, and Dominic Schupke. 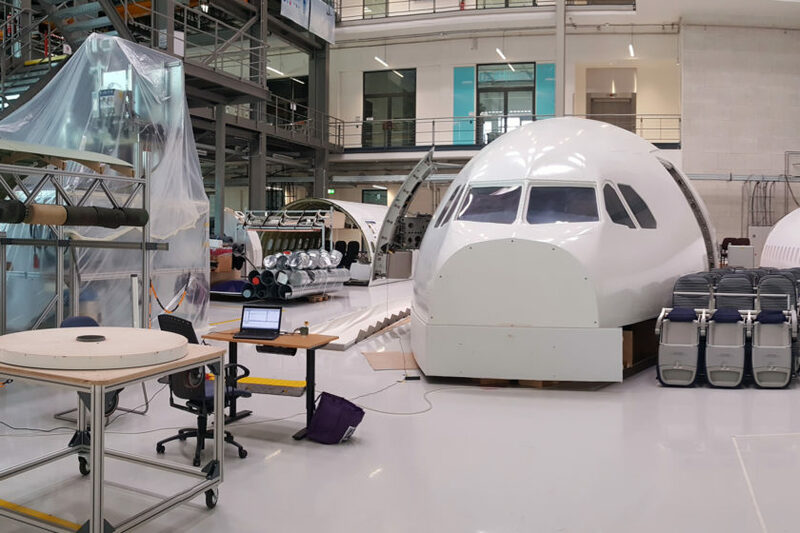 Experiments with UWB Aircraft Sensor Networks. In Proc. IEEE INFOCOM Workshops, San Francisco, CA, April 10–15, 2016. Samira Hayat, Evsen Yanmaz, and Christian Bettstetter. Experimental Analysis of Multipoint-to-Point UAV Communications with 802.11n and 802.11ac. In Proc. IEEE Intern. Symp. on Personal, Indoor and Mobile Radio Communications (PIMRC), Hong Kong, August 30 – September 2, 2015. Jorge F. Schmidt, Mahin K. Atiq, Udo Schilcher, and Christian Bettstetter. Underlay Device-to-Device Communications in LTE-A: Uplink or Downlink? In Proc. IEEE Intern. Symp. on Personal, Indoor and Mobile Radio Communications (PIMRC), Hong Kong, August 30 – September 2, 2015. Torsten Andre, Premkumar Arumugam, and Christian Bettstetter. Experimental Evaluation of Multihop-Aware Cooperative Relaying. In Proc. Intern. Workshop on Wireless Network Measurements and Experimentation (WINMEE), IIT Bombay, India, May 25, 2015. Jürgen Scherer, Saeed Yahyanejad, Samira Hayat, Evsen Yanmaz, Torsten Andre, Asif Khan, Vladimir Vukadinovic, Christian Bettstetter, Hermann Hellwagner, and Bernhard Rinner. 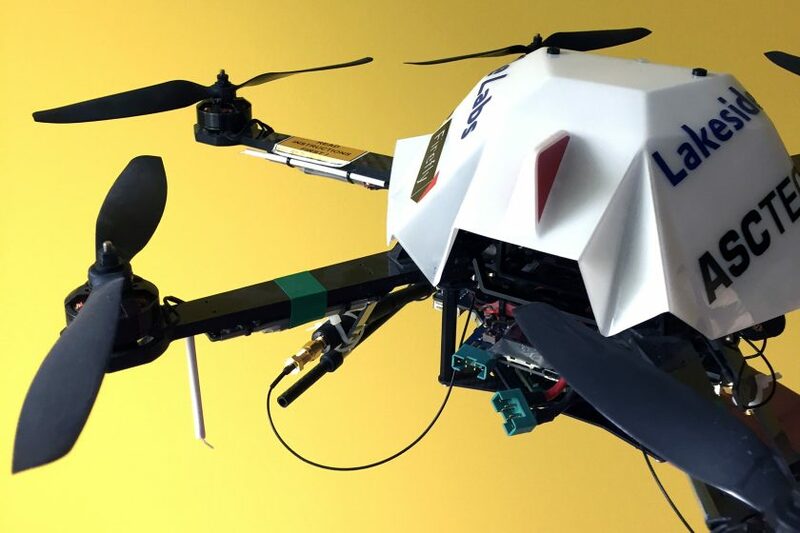 An Autonomous Multi-UAV System for Search and Rescue. In Proc. Workshop on Micro Aerial Vehicle Networks, Systems, and Applications for Civilian Use (DroNet), Florence, Italy, May 18, 2015. Günther Brandner, Johannes Klinglmayr, Dominik Egarter, Udo Schilcher, and Christian Bettstetter. 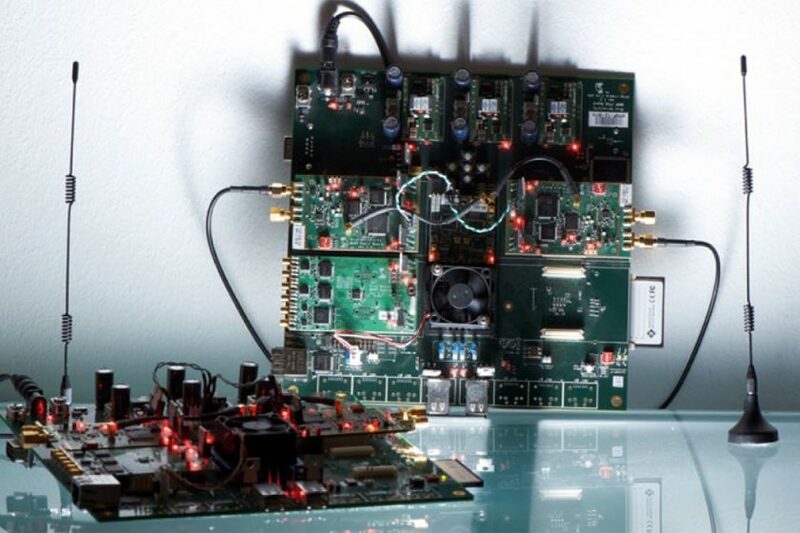 Precision of Pulse-Coupled Oscillator Synchronization on FPGA-Based Radios. In Proc. Intern. ITG Conf. on Systems, Communications, and Coding (SCC), Hamburg, Germany, February 2–5, 2015. Download arXiv preprint. Torsten Andre, Daniel Neuhold, and Christian Bettstetter. Coordinated Multi-Robot Exploration: Out of the Box Packages for ROS. In Proc. Intern. Workshop on Wireless Networking and Control for Unmanned Autonomous Vehicles (Wi-UAV), Austin, TX, USA, December 12, 2014. Wasif Masood, Johannes Klinglmayr, and Christian Bettstetter. Experimental Evaluation of Pulse-Coupled Oscillator Synchronization in 802.15.4 Networks. In Proc. Workshops of ACM Intern. Conf. on Modeling, Analysis and Simulation of Wireless and Mobile Systems (MSWiM), Montreal, Canada, September 21–26, 2014. Alessandro Crismani, Udo Schilcher, Stavros Toumpis, Günther Brandner, and Christian Bettstetter. Packet Travel Times in Wireless Relay Chains under Spatially and Temporally Dependent Interference. In Proc. IEEE International Conf. on Communications (ICC), Sydney, Australia, June 10–14, 2014. Download preprint. Micha Rappaport, Evsen Yanmaz, and Christian Bettstetter. Neighbor Cardinality Estimation with Low-Power Transceivers: Implementation and Experimental Results. In Proc. IEEE Vehicular Technology Conf. (VTC), Seoul, Korea, May 18–21, 2014. Evsen Yanmaz, Samira Hayat, Jürgen Scherer, and Christian Bettstetter. Experimental Performance Analysis of Two-Hop Aerial 802.11 Networks. In Proc. IEEE Wireless Communications and Networking Conf. (WCNC), Istanbul, Turkey, April 6–9, 2014. Udo Schilcher, Stavros Toumpis, Alessandro Crismani, Günther Brandner, and Christian Bettstetter. How Does Interference Dynamics Influence Packet Delivery in Cooperative Relaying? In Proc. ACM/IEEE Intern. Conf. on Modeling, Analysis and Simulation of Wireless and Mobile Systems (MSWiM), Barcelona, Spain, November 3–8, 2013. Torsten Andre and Christian Bettstetter. Assessing the Value of Coordination in Mobile Robot Exploration using a Discrete-Time Markov Process. In Proc. IEEE/RSJ Intern. Conf. on Intelligent Robots and Systems (IROS), Tokyo, Japan, November 3–7, 2013. Torsten Andre, Nikolaj Marchenko, Günther Brandner, Wasif Masood, and Christian Bettstetter. Measurement-Based Analysis of Adaptive Relay Selection in Industrial Wireless Sensor Networks. In Proc. Intern. Workshop on Wireless Network Measurements (WINMEE), Tsukuba, Japan, May 13, 2013. 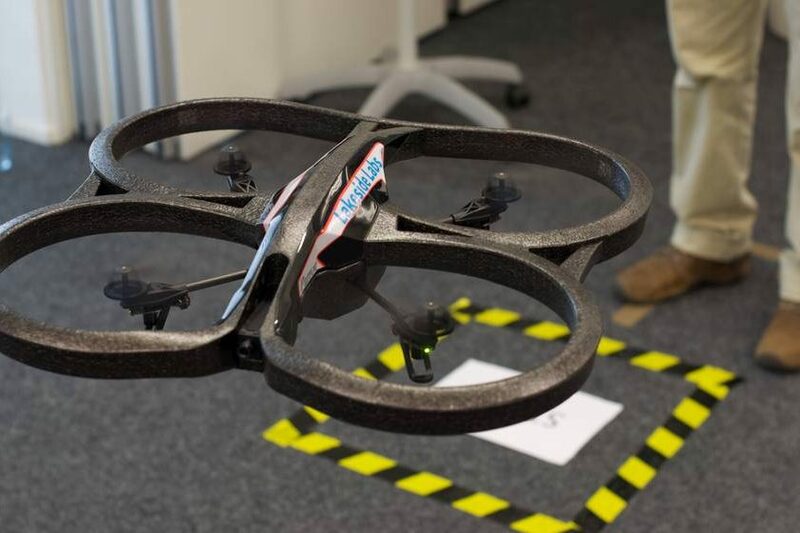 We propose an antenna setup for quadrocopters using 802.11 and evaluate it with experiments. Evsen Yanmaz, Robert Kuschnig, and Christian Bettstetter. Achieving Air-Ground Communications in 802.11 Networks with Three-Dimensional Aerial Mobility. In Proc. IEEE Intern. Conf. on Computer Communications (INFOCOM), Turin, Italy, April 14–19, 2013. Udo Schilcher, Günther Brandner, and Christian Bettstetter. Temporal Correlation of Interference: Cases with Correlated Traffic. In Proc. Intern. ITG Conf. on Systems, Communications, and Coding (SCC), Munich, Germany, January 21–24, 2013. Torsten Andre, Günther Brandner, Nikolaj Marchenko, and Christian Bettstetter. Measurement-Based Analysis of Cooperative Relaying in an Industrial Wireless Sensor Network. In Proc. IEEE Global Communications Conf. (GLOBECOM), Anaheim, CA, USA, December 3–7, 2012. Alexander Gogolev and Christian Bettstetter. Robustness of Self-Organizing Consensus Algorithms: Initial Results from a Simulation-Based Study. In Proc. Intern. Workshop on Self-Organizing Systems (IWSOS), Delft, Netherlands, March 15–16, 2012. Evsen Yanmaz, Robert Kuschnig, and Christian Bettstetter. Channel Measurements over 802.11a-based UAV-to-Ground Links. In Proc. Intern. Workshop on Wireless Networking for Unmanned Autonomous Vehicles (Wi-UAV), Houston, TX, USA, December 5, 2011. Nikolaj Marchenko and Christian Bettstetter. Impact of Relay Selection Overhead in Cooperative Diversity Protocols. In Proc. IEEE Vehicular Technology Conf. (VTC), San Francisco, CA, USA, Sept. 5–8, 2011. Nikolaj Marchenko and Christian Bettstetter. Throughput and Energy Efficiency of Cooperative Diversity with Relay Selection. In Proc. European Wireless, Vienna, Austria, April 27–29, 2011. Evsen Yanmaz, Robert Kuschnig, Markus Quaritsch, Christian Bettstetter, and Bernhard Rinner. On Path Planning Strategies for Networked Unmanned Aerial Vehicles. In Proc. IEEE INFOCOM Workshop on Machine-to-Machine Commun. Netw., Shanghai, China, April 15, 2011. Udo Schilcher, Günther Brandner, and Christian Bettstetter. Diversity Schemes in Interference-Limited Wireless Networks with Low-Cost Radios. In Proc. IEEE Wireless Communications and Networking Conf. (WCNC), Cancun, Mexico, March 28–31, 2011. Nikolaj Marchenko, Christian Bettstetter, and Wilfried Elmenreich. Incremental Cooperative Relaying in Time-Correlated Rayleigh Fading Channels. In Proc. IEEE Global Communications Conf. (GLOBECOM), Miami, FL, USA, December 6–10, 2010. Evsen Yanmaz, Carmelo Costanzo, Christian Bettstetter, and Wilfried Elmenreich. A Discrete Stochastic Process for Coverage Analysis of Autonomous UAV Networks. In Proc. Intern. Workshop on Wireless Networking for UAVs (Wi-UAV), Miami, FL, USA, December 6, 2010. Johannes Klinglmayr and Christian Bettstetter. Synchronization of Inhibitory Pulse-Coupled Oscillators in Delayed Random and Line Networks. In Proc. Intern. Symp. on Applied Sciences in Biomedical and Communication Technologies (ISABEL), Rome, Italy, November 7–10, 2010. Invited paper. Robert Leidenfrost, Wilfried Elmenreich, and Christian Bettstetter. Fault-Tolerant Averaging for Self-Organizing Synchronization in Wireless Ad Hoc Networks. In Proc. Intern. Symp. on Wireless Communication Systems (ISWCS), York, UK, Sept. 19–22, 2010. Nikolaj Marchenko and Christian Bettstetter. Cooperative Multicast with Low-Cost Radios. In Proc. IEEE Vehicular Technology Conf. (VTC), Ottawa, Canada, Sept. 6–9, 2010. Alexander Tyrrell, Gunther Auer, Christian Bettstetter, and Rahul Naripella. How Does a Faulty Node Disturb Decentralized Slot Synchronization over Wireless Networks? In Proc. IEEE Intern. Conf. on Communications (ICC), Cape Town, South Africa, May 23–27, 2010. Christian Bettstetter, Johannes Klinglmayr, and Stefan Lettner. On the Degree Distribution of k-Connected Random Networks. In Proc. IEEE Intern. Conf. on Communications (ICC), Cape Town, South Africa, May 23–27, 2010. Helmut Adam, Evsen Yanmaz, Wilfried Elmenreich, and Christian Bettstetter. Contention-Based Neighborhood Estimation. In Proc. IEEE Vehicular Technology Conf. (VTC), Taipei, Taiwan, May 16–19, 2010. Evsen Yanmaz and Christian Bettstetter. Area Coverage with Unmanned Vehicles: A Belief-Based Approach. In Proc. IEEE Vehicular Technology Conf. (VTC), Taipei, Taiwan, May 16–19, 2010. Günther Brandner, Udo Schilcher, and Christian Bettstetter. Cooperative Relaying in Car-to-Car Communications: Initial Results from an Experimental Study. In Proc. IEEE Intern. Symp. on Communications, Control and Signal Processing (ISCCSP), Limassol, Cyprus, March 3–5, 2010. Invited paper. Wilfried Elmenreich, Raissa D’Souza, Christian Bettstetter, and Hermann de Meer. A Survey of Models and Design Methods for Self-Organizing Networked Systems. In Proc. Intern. Workshop on Self-Organizing Systems (IWSOS), Lecture Notes in Computer Science, Springer, Zürich, Switzerland, December 9–11, 2009. Invited paper. Helmut Adam, Wilfried Elmenreich, Christian Bettstetter, and Sidi Mohammed Senouci. CoRe-MAC: A MAC-Protocol for Cooperative Relaying in Wireless Networks. In Proc. IEEE Global Communications Conf. (GLOBECOM), Honolulu, Hawaii, November 30 – December 4, 2009. Nikolaj Marchenko, Evsen Yanmaz, Helmut Adam, and Christian Bettstetter. Selecting a Spatially Efficient Cooperative Relay. In Proc. IEEE Global Communications Conf. (GLOBECOM), Honolulu, Hawaii, November 30 – December 4, 2009. Johannes Klinglmayr, Christian Bettstetter, and Marc Timme. Globally Stable Synchronization by Inhibitory Pulse Coupling. In Proc. Intern. Symp. on Applied Sciences in Biomedical and Communication Technologies (ISABEL), Bratislava, Slovak Republic, November 24 – 27, 2009. Invited paper. Sérgio Crisóstomo, Udo Schilcher, Christian Bettstetter, and João Barros. Analysis of Probabilistic Flooding: How do we Choose the Right Coin? In Proc. IEEE Intern. Conf. on Communications (ICC), Dresden, Germany, June 14–18, 2009. Nikolaj Marchenko, Christian Bettstetter, and Evsen Yanmaz. 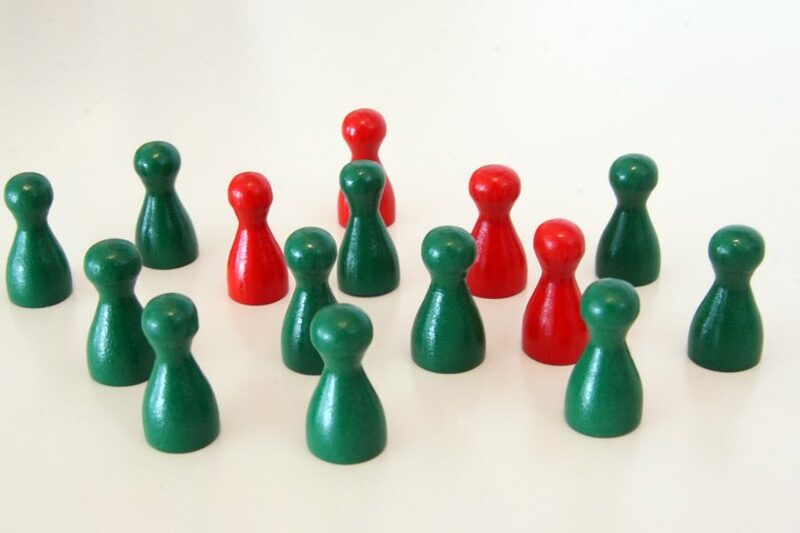 On Radio Resource Allocation in Proactive Cooperative Relaying. In Proc. IEEE Workshop on Cooperative Mobile Networks (CoCoNet), Dresden, Germany, June 14, 2009. Günther Brandner, Udo Schilcher, Michael Gyarmati, and Christian Bettstetter. 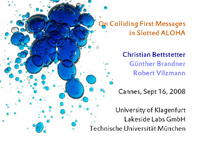 Non-Colliding First Messages in Slotted ALOHA: Further Insights Toward a Practical Solution. In Proc. IEEE Vehicular Technology Conf. (VTC), Barcelona, Spain, April 26–29, 2009. Helmut Adam, Christian Bettstetter, and Sidi Mohammed Senouci. Multi-Hop-Aware Cooperative Relaying. In Proc. IEEE Vehicular Technology Conf. (VTC), Barcelona, Spain, April 26–29, 2009. Received best student paper award. Richard Holzer, Hermann de Meer, and Christian Bettstetter. On Autonomy and Emergence in Self-Organizing Systems. In Proc. Intern. Workshop on Self-Organizing Systems (IWSOS), Vienna, Austria, Lecture Notes in Computer Science, Springer, December 10–12, 2008. Invited paper. Michael Gyarmati, Udo Schilcher, Günther Brandner, Christian Bettstetter, Yun Won Chung, and Young Han Kim. Impact of Random Mobility on the Inhomogeneity of Spatial Distributions. In Proc. IEEE Global Communications Conf. (GLOBECOM), New Orleans, LA, USA, Nov 30 – Dec 4, 2008. Alexander Tyrrell, Gunther Auer, and Christian Bettstetter. A Synchronization Metric for Meshed Networks of Pulse-Coupled Oscillators. In Proc. Intern. Conf. on Bio-Inspired Models of Network, Information, and Computing Systems (BIONETICS), Hyogo, Japan, November 25–28, 2008. Sérgio Crisóstomo, João Barros, and Christian Bettstetter. Network Coding with Shortcuts. In Proc. IEEE Intern. Conf. on Communication Systems (ICCS), Guangzhou, China, November 19–21, 2008. Alexander Tyrrell, Gunther Auer, and Christian Bettstetter. On the Accuracy of Firefly Synchronization with Delays. In Proc. Intern. Symp. on Applied Sciences in Biomedical and Communication Technologies (ISABEL), Aalborg, Denmark, October 25–28, 2008. Received best student paper award. 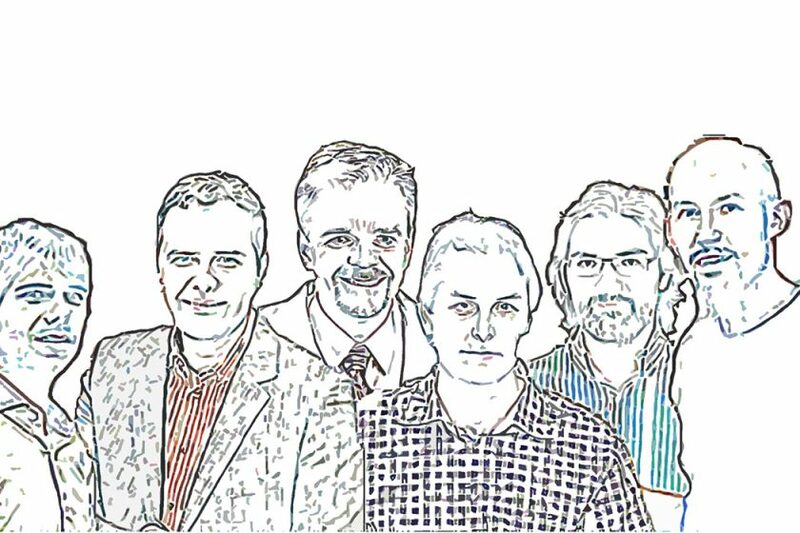 Markus Quaritsch, Emil Stojanovski, Christian Bettstetter, Gerhard Friedrich, Hermann Hellwagner, Bernhard Rinner, Michael Hofbaur, and Mubarak Shah. 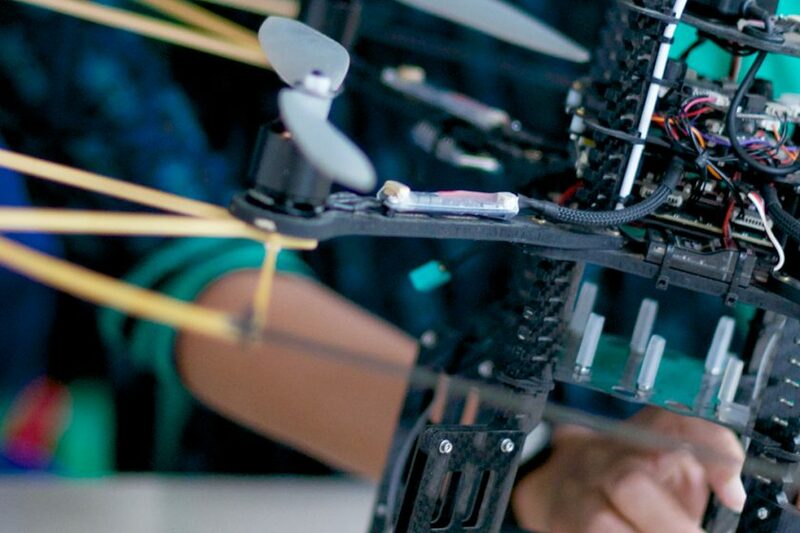 Collaborative Microdrones: Applications and Research Challenges. In Proc. Intern. Conf. on Autonomic Computing and Communication Systems (Autonomics), Turin, Italy, September 23–25, 2008. Invited paper. Christian Bettstetter, Günther Brandner, and Robert Vilzmann. On Colliding First Messages in Slotted ALOHA. In Proc. IEEE Intern. Symp. on Personal, Indoor and Mobile Radio Communications (PIMRC), Cannes, France, Sept. 15–18, 2008. Invited paper. Helmut Adam, Christian Bettstetter, and Sidi Mohammed Senouci. Adaptive Relay Selection in Cooperative Wireless Networks. In Proc. IEEE Intern. Symp. on Personal, Indoor and Mobile Radio Communications (PIMRC), Cannes, France, Sept. 15–18, 2008. Sérgio Crisóstomo, João Barros, and Christian Bettstetter. Flooding the Network: Multipoint Relays versus Network Coding. In Proc. IEEE Intern. Conf. on Circuits and Systems for Communications (ICCSC), Shanghai, China, May 26–28, 2008. Udo Schilcher, Michael Gyarmati, Christian Bettstetter, Yun Won Chung, and Young Han Kim. Measuring Inhomogeneity in Spatial Distributions. In Proc. IEEE Vehicular Technology Conf. (VTC), Marina Bay, Singapore, May 11–14, 2008. Received best paper award. Christian Bettstetter, Michael Gyarmati, and Udo Schilcher. An Inhomogeneous Node Distribution and its Stochastic Properties. In Proc. ACM/IEEE Intern. Symp. on Modeling, Analysis, and Simulation of Wireless and Mobile Systems (MSWiM), Chania, Crete Island, Greece, pp. 400-404, October 22-26, 2007. Alexander Tyrrell, Gunther Auer, and Christian Bettstetter. Synchronization Inspired from Nature for Wireless Meshed Networks. In Proc. Intern. Conf. on Wireless Communications, Networking, and Mobile Computing, Wuhan, China, Sept. 22–24, 2006. Philipp Hofmann, Koojana Kuladinithi, Andreas Timm-Giel, Carmelita Görg, Christian Bettstetter, François Capman, and Christian Toulsaly. Are IEEE 802 Wireless Technologies Suited for Fire Fighters?. In Proc. European Wireless, Athens, Greece, April 2–5, 2006. Robert Vilzmann, Christian Bettstetter, Daniel Medina, and Christian Hartmann. Hop Distances and Flooding in Wireless Multihop Networks with Randomized Beamforming. In Proc. ACM/IEEE Intern. Symp. on Modeling, Analysis, and Simulation of Wireless and Mobile Systems (MSWiM), Montreal, Canada, pp. 20-27, October 10–13, 2005. Robert Vilzmann, Christian Bettstetter, and Christian Hartmann. On the Impact of Beamforming on Interference in Wireless Mesh Networks. In Proc. IEEE Workshop on Wireless Mesh Networks (WiMesh), Santa Clara, USA, Sept. 26, 2005. Robert Vilzmann and Christian Bettstetter. A Survey on MAC Protocols for Ad Hoc Networks with Directional Antennas. In Proc. EUNICE Open European Summer School, Colmenarejo, Spain, pp. 268-274, July 6-8, 2005. Christian Bettstetter, Christian Hartmann, and Clemens Moser. How Does Randomized Beamforming Improve the Connectivity of Ad Hoc Networks? In Proc. IEEE Intern. Conf. on Communications (ICC), Seoul, Korea, pp. 3380-85, May 16-20, 2005. Emma Carlson, Christian Bettstetter, Christian Prehofer, and Adam Wolisz. A Performance Comparison of QoS Approaches for Ad Hoc Networks: 802.11e versus Distributed Resource Allocation. In Proc. European Wireless, Nicosia, Cyprus, April 10-13, 2005. Philipp Hofmann, Christian Bettstetter, Koojana Kuladinithi, Andreas Timm-Giel, Camelita Görg, Rifat Ok, and Zeynap Sarilar. Requirements of Wireless Communication for Wearable Computing at Work. In Proc. Intern. Forum on Applied Wearable Computing (IFAWC), Zürich, Switzerland, March 17-18, 2005. Philipp Hofmann, Christian Bettstetter, Jeremie Wehren, Christian Prehofer. Performance Impact of Mobility in an Emulated IP-based Multihop Radio Access Network. In Proc. IEEE/IFIP Intern. Conf. on Mobile and Wireless Communication Networks (MWCN), Paris, France, Oct 25-27, 2004. Emma Carlson, Christian Bettstetter, Holger Karl, Christian Prehofer, and Adam Wolisz. Distributed Maintenance of Resource Reservation Paths in Multihop 802.11 Networks. In Proc. IEEE Vehicular Technology Conf. (VTC), Los Angeles, USA, Sept. 26-29, 2004. We analyzed the connectivity of a multihop network with shadow fading. Christian Bettstetter. Failure-Resilient Ad Hoc and Sensor Networks in a Shadow Fading Environment. In Proc. IEEE/IFIP Intern. Conf. on Dependable Systems and Networks (DSN), Workshop on Dependability Issues in Wireless Ad Hoc Networks & Sensor Networks, Florence, Italy, June 29, 2004. Christian Bettstetter. The Cluster Density of a Distributed Clustering Algorithm in Ad Hoc Networks. In Proc. IEEE Intern. Conf. on Communications (ICC), Paris, France, June 20-24, 2004. Christian Bettstetter and Christian Hartmann. Connectivity of Wireless Multihop Networks in a Shadow Fading Environment. In Proc. ACM Intern. Workshop on Modeling, Analysis, and Simulation of Wireless and Mobile Systems (MSWiM), San Diego, CA, USA, pp. 28-32, Sept 2003. Christian Bettstetter and Bastian Friedrich. Time and Message Complexities of the Generalized Distributed Mobility-Adaptive Clustering (GDMAC) Algorithm in Wireless Multihop Networks. In Proc. IEEE Vehicular Technology Conf. (VTC), Jeju, Korea, pp. 176-180, April 2003. Christian Bettstetter and Jörg Eberspächer. Hop Distances in Homogeneous Ad Hoc Networks. In Proc. IEEE Vehicular Technology Conf. (VTC), Jeju, Korea, pp. 2286-2290, April 2003. Christian Bettstetter and Clemens Moser. Simulationsbasierte Konnektivitätsanalyse von gleich- und normalverteilten drahtlosen Sensornetzen. In Proc. ITG/GI Conf. 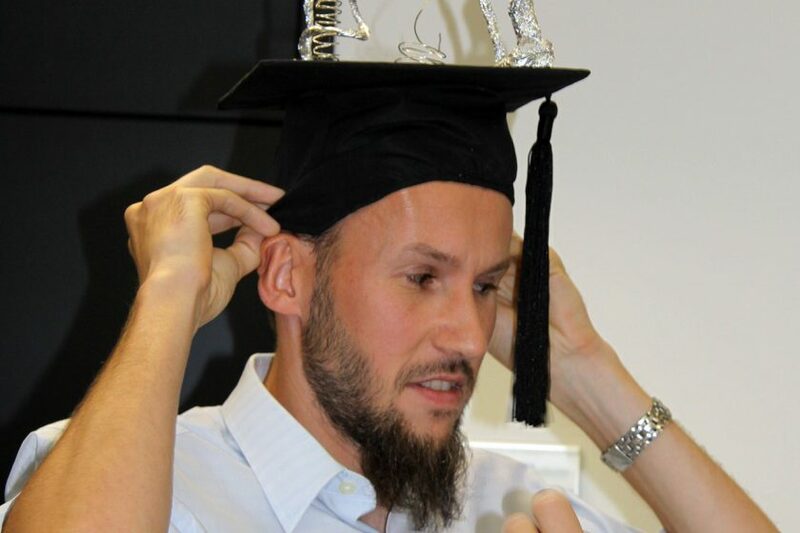 on ‘Kommunikation in Verteilten Systemen’ (KiVS), Leipzig, Germany, pp. 307-318, Feb 2003. Timo Kosch, Christian Schwingenschlögl, and Christian Bettstetter. 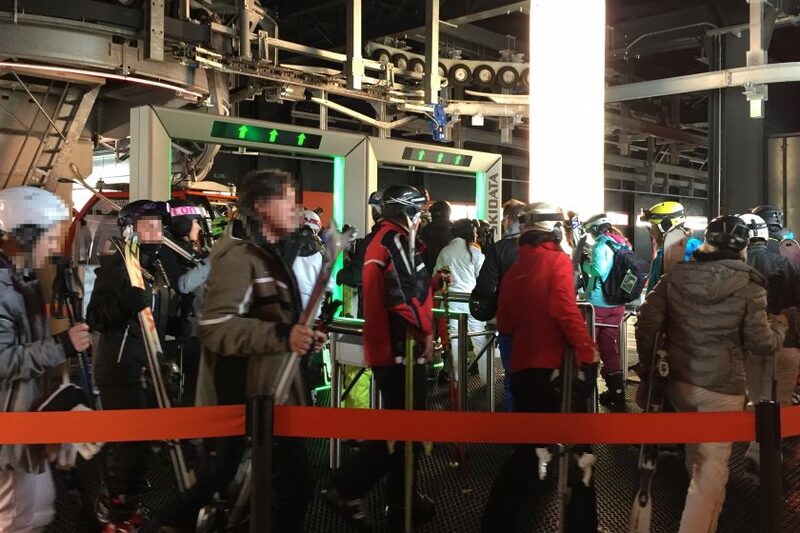 Situative IP-basierte Fahrerinformationssysteme: Szenarien, Routing und prototypische Realisierung. In Proc. VDE Conf. ‘NetWorlds’, Dresden, Germany, Oct 2002. 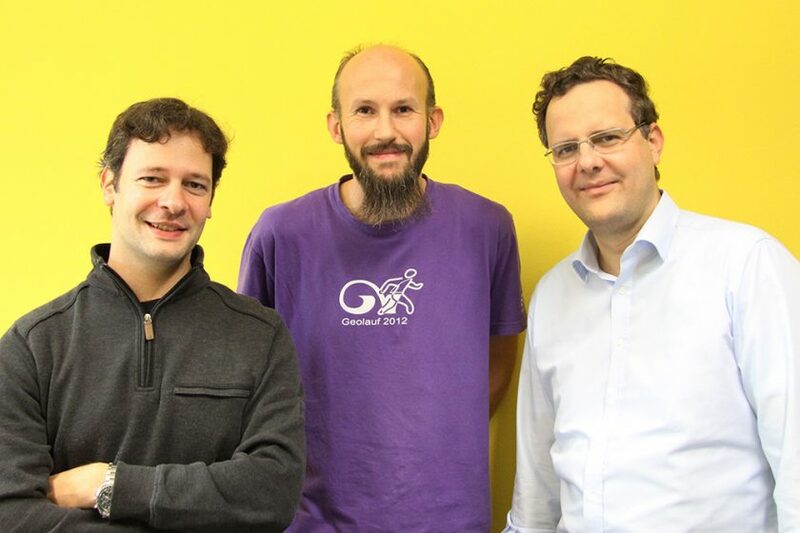 Christian Bettstetter, Hannes Hartenstein, and Xavier Perez-Costa. Stochastic Properties of the Random Waypoint Mobility Model: Epoch Length, Direction Distribution, and Cell Change Rate. In Proc. ACM Intern. Workshop on Modeling, Analysis, and Simulation of Wireless and Mobile Systems (MSWiM), Atlanta, GA, USA, pp. 7-14, Sept 2002. Christian Bettstetter. On the Connectivity of Wireless Multihop Networks with Homogeneous and Inhomogeneous Range Assignment. In Proc. IEEE Vehicular Technology Conf. (VTC), Vancouver, BC, Canada, pp. 1706-10, Sept 24-28, 2002. Christian Bettstetter and Johannes Zangl. How to Achieve a Connected Ad Hoc Network with Homogeneous Range Assignment: An Analytical Study with Consideration of Border Effects. In Proc. IEEE Intern. Conf. on Mobile and Wireless Communication Networks (MWCN), Stockholm, Sweden, pp. 125-129, Sept 9-11, 2002. 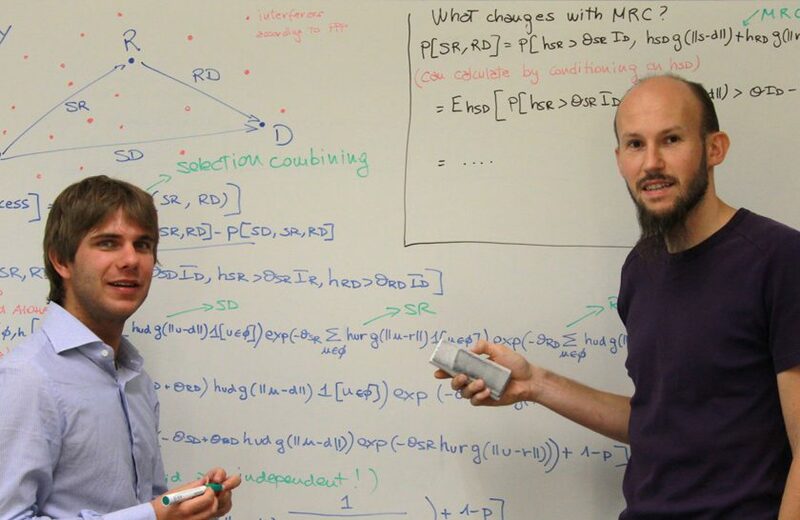 We transferred a theorem from geometric random graphs to ad hoc networks. Christian Bettstetter. On the Minimum Node Degree and Connectivity of a Wireless Multihop Network. In Proc. ACM Intern. Symp. on Mobile Ad Hoc Networking and Computing (MobiHoc), Lausanne, Switzerland, pp. 80-91, June 9-11, 2002. Jin Xi and Christian Bettstetter. Wireless Multi-Hop Internet Access: Gateway Discovery, Routing, and Addressing. In Proc. Intern. Conf. on Third Generation Wireless and Beyond (3Gwireless), San Francisco, CA, USA, May 28-31, 2002. We highlighted a pitfall in a commonly used mobility model. Christian Bettstetter and Christian Wagner. The Spatial Node Distribution of the Random Waypoint Mobility Model. In Proc. German Workshop on Mobile Ad-Hoc Networks (WMAN), Ulm, Germany, GI Lecture Notes in Informatics, no. P-11, pp. 41-58, Mar 25-26, 2002. Christian Bettstetter and Stefan König. On the Message and Time Complexity of a Distributed Mobility-Adaptive Clustering Algorithm in Wireless Ad Hoc Networks. In Proc. European Wireless, Florence, Italy, pp. 128-34, Feb 25-28, 2002. Christian Bettstetter and Roland Krausser. Scenario-Based Stability Analysis of the Distributed Mobility-Adaptive Clustering (DMAC) Algorithm. In Proc. ACM Intern. Symp. on Mobile Ad Hoc Networking and Computing (MobiHoc), Long Beach, CA, USA, pp. 232-241, Oct 4-5, 2001. Marco Vettorello, Christian Bettstetter, and Christian Schwingenschlögl. Some Notes on Security in the Service Location Protocol Version 2 (SLPv2). In Proc. Workshop on Ad hoc Communications, held in conjunction with European Conf. on Computer Supported Cooperative Work (ECSCW), Bonn, Germany, Sept 16-20, 2001. Eivind Jåsund, Christian Bettstetter, and Christian Schwingenschlögl. A Service Browser for the Service Location Protocol Version 2 (SLPv2) In Proc. EUNICE Open European Summer School and the IFIP Workshop on IP and ATM Traffic Management (WATM), Paris, France, Sept 3-5, 2001. Christian Bettstetter and Oliver Krause. On Border Effects in Modeling and Simulation of Wireless Ad Hoc Networks. In Proc. IEEE Intern. Conf. on Mobile and Wireless Communication Networks (MWCN), Recife, Brazil, pp. 20-27, Aug 14-17, 2001. Christian Bettstetter. Smooth is Better than Sharp: A Random Mobility Model for Simulation of Wireless Networks. In Proc. ACM Intern. Workshop on Modeling, Analysis, and Simulation of Wireless and Mobile Systems (MSWiM), Rome, Italy, July 2001. Christian Bettstetter and Jin Xi. Mobility Modeling and Analysis of Adaptive Clustering Algorithms in Ad Hoc Networks. In Proc. European Personal Mobile Communications Conf. (EPMCC), Vienna, Austria, Feb 19-22, 2001. Christian Bettstetter and Christoph Renner. A Comparison of Service Discovery Protocols and Implementation of the Service Location Protocol. In Proc. EUNICE Open European Summer School, Twente, Netherlands, Sept 13-15, 2000. Christian Bettstetter. 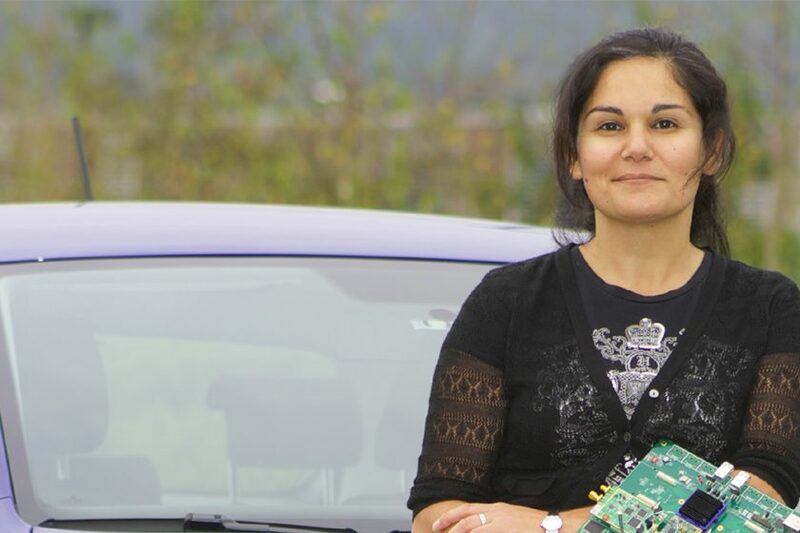 Toward Internet-based Car Communications: On Some System Architecture and Protocol Aspects. In Proc. EUNICE Open European Summer School, Twente, Netherlands, Sept 13-15, 2000. Christian Bettstetter, Anton Riedl, and Gerhard Geßler. Interoperation of Mobile IPv6 and Protocol Independent Multicast Dense Mode. In Proc. Workshop on Wireless Networks and Mobile Computing, held in conjunction with Intern. Conf. on Parallel Processing (ICPP), Toronto, Canada, pp. 531-539, Aug 2000. Christian Weiß, Christian Bettstetter, Sven Riedel, and Daniel J. Costello, Jr. Turbo Decoding with Tail-Biting Trellises. In Proc. URSI Intern. Symp. on Signals, Systems, and Electronics (ISSSE), Pisa, Italy, pp. 343-348, Oct 1998. 1. A preliminary version of this paper, titled Firefly Synchronization in Ad Hoc Networks was presented at a workshop of the ESF-funded scientific program MiNEMA, Leuven, Belgium, February 7-9, 2006. ? A list of all publications and a BibTeX file is available for download. My 10 most important articles as required by some funding agencies. Download papers via the ACM author-izer service, IEEE open access, or as preprints on this Website or arXiv.